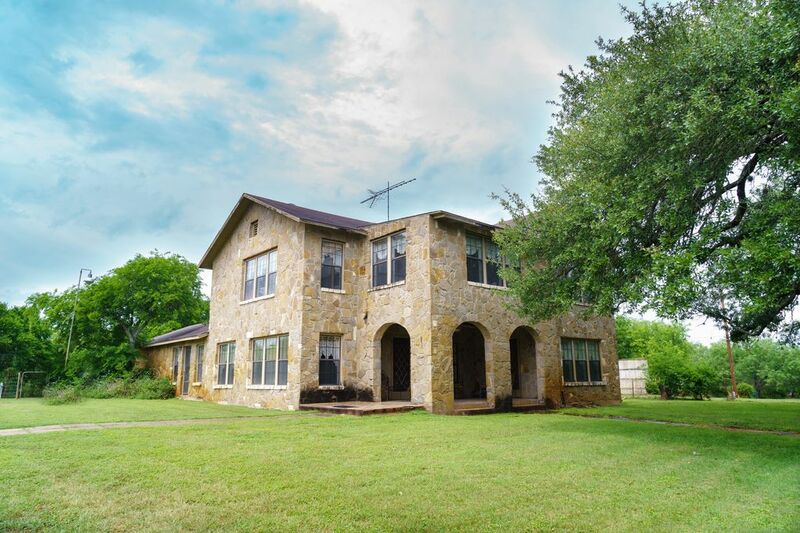 “I've done over a dozen vacation rentals and my whole family agrees this was the best property so far.” — Michael R.
Set on 20 acres of gorgeous Texan land, this spacious 8 bed, 5.5 bath ranch home will provide everything you and your family need on your next visit to San Antonio, or be the beautiful location for that special event coming up! With your own stocked pond (catch and release only), gorgeous pavilion, basketball court, ping pong table, volleyball net, fire pit, a smoker big enough to fit a cow, and free wifi for the city folk you’ll never want to leave the property! Though if you do, it is only a mere 20 minute drive from our breathtaking Riverwalk and the world famous Alamo. Guests have access to every sq. foot of the property including the additional one bedroom (2 beds), one bathroom house with full kitchen and TV. We hope you find as much joy here as we have for years, and will do everything in our power to make that happen. Two property managers are on call 24/7, located just minutes from the house. From our family to yours: welcome to San Antonio! We have been the host of many weddings and large parties, and hope you think of us for you next special event! Events are considered case by case. All request will be considered, additional fees apply. What I love most about our family home is the feel of the country with the city conveniences minutes away. Sheets, blankets, pillow covers and pillows all provided. plenty of towels in each bath room. Bring swim towels only. Plenty of space for the family to enjoy mingling. Miscellaneous seasonings people have left behind that your welcome to use. Fully stocked kitchen to include pots, pans, cooking utensils, toaster, coffee pot. NO Smoking in homes, Smoking permitted outside. The location of this property is excellent. The house is located between Calaveras Lake and Braunig Lake, both of which have state funded parks and provide a variety of fun family activities such as boating and fishing. The house is just 11 miles away from Mission de Espada. The mission is the last in a chain of the 4 historic San Antonio missions all connected by The Mission Trail, an 8 mile hiking and biking trail that runs along the San Antonio river. If you're making a trip to San Antonio to visit your new Air Force BMT grad, Lackland AFB is just 25 minutes away and the house is large enough to accommodate a large amount of guests. If you're looking for some great food, just 10 miles away is Texas Pride BBQ and 14 miles away is Big Lou's pizzeria (both featured on the Food Network). Trust me when I tell you that they have some of the best grub in Texas. Floresville, Texas is located just a few miles to the south of the property and has some great restaurants (check out The Maverick Grill). It also has some authentic antique shops located in the heart of the business district at the center of town. Let's not forget downtown San Antonio: the house is only 20 minutes away from the Alamo, the Tower of Americas, the Riverwalk and everything else that the vibrant city of San Antonio has to offer.